The Victorian Inspectorate protects witness’ rights and ensures that Victoria’s anti-corruption bodies use their powers lawfully. 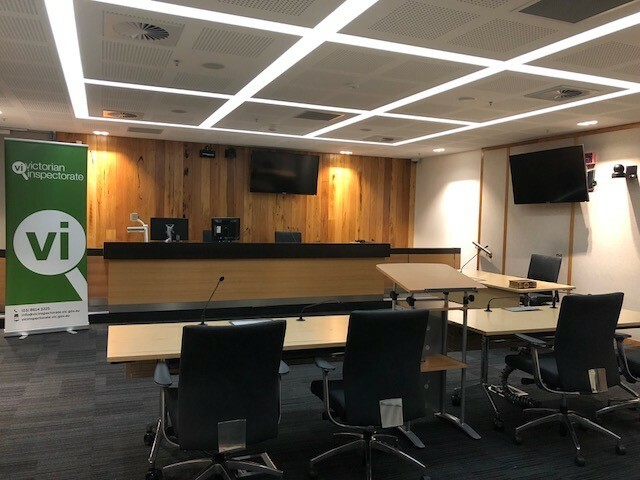 Come to the Victorian Inspectorate’s hearing room to listen to Inspector Eamon Moran PSM QC and VI Executive Director – Legal and Integrity Cathy Cato discuss witness welfare and learn about recent recommendations it has made. There will be a short Q&A at the end of the session. Contact Bernadette from Victorian Inspectorate .